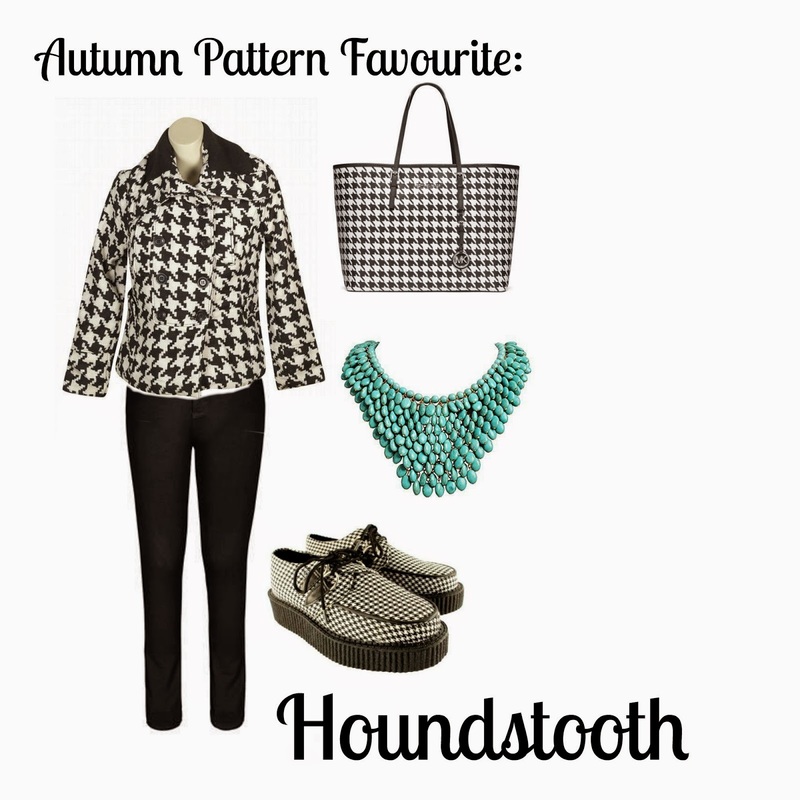 Toodaloo Katie: Autumn Pattern Favourite: Houndstooth! I think it's safe to say that Fall has officially begun and the chilly weather is here to stay. I have pulled out my big cardigans and scarves in anticipation of it getting colder and it made me realize how many awesome patterns and prints I have in my Winter wardrobe. With this realization came the horror of just how little I have of one of my favourite patterns, Houndstooth! So with that comes my post all about it! I am in love with this Last Kiss Black Heaven Houndstooth Coat from OneStopPlus and would have no shame in pairing it with all of these other awesome items. I love a good pair of black skinny jeans to set an outfit and it feels neutral enough to allow me to go a little wild with my accessories and shoes (the ones above can all be found on Amazon). What patterns are you all wearing during this chilly weather?